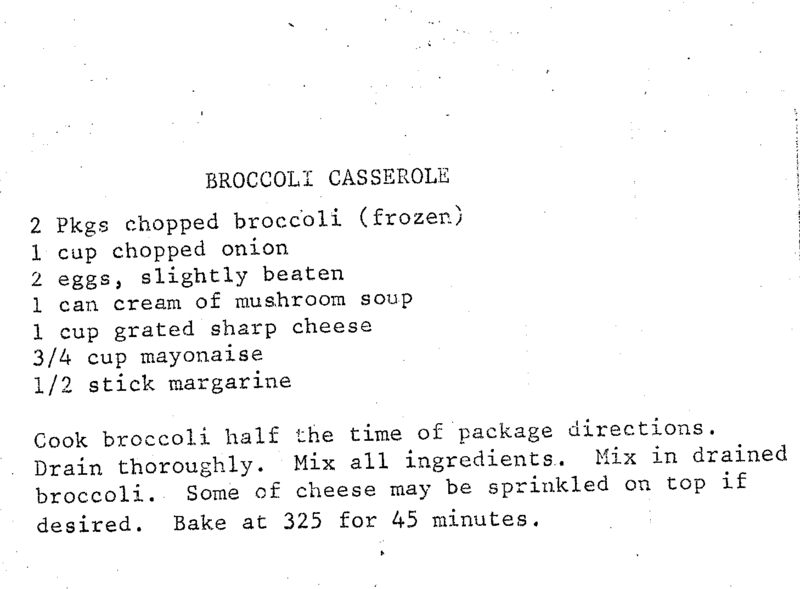 - Cook broccoli half the time of package directions. - Mix all ingredients, including broccoli. - Sprinkle extra cheese on top. - Bake at 325 for 45 minutes.